Chapter 7 Bankruptcy offers a way for debtors to obtain a financial "fresh start. A qualified debtor will obtain a "discharge," which bars creditors from taking any and all action to collect debt. Chapter 7 Bankruptcy petitions are administered by a bankruptcy trustee, who can take possession of a debtor's "non-exempt" property and distribute it among creditors. In most Chapter 7 cases, however, all property is exempt (the debtor keeps what little he or she has). What debts may be discharged? A Chapter 7 bankruptcy attorney at Pinard Law, LLC can help you navigate through what debts are dischargeable and what debts are not. 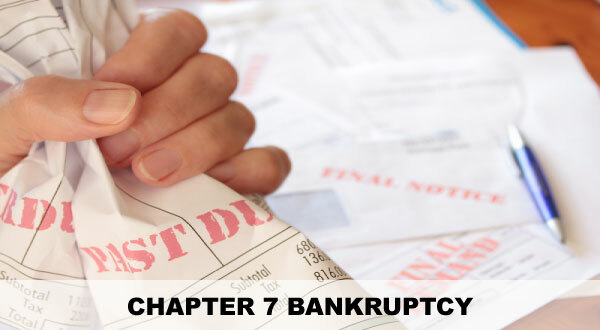 In Chapter 7 bankruptcy, most debts are dischargeable including medical bills, loans, credit card purchases and cash advances, and many judgments. Some debts cannot be discharged during Chapter 7 bankruptcy. These include taxes (in many cases), alimony, child support, student loans, criminal fines, debts related to drunk driving, debts not listed in the bankruptcy petition, and certain debts incurred within 60 days of filing the petition. If I own property, what types of property can I keep? The Chapter 7 bankruptcy means test determines whether your income is low enough for you to file Chapter 7 bankruptcy. It's a formula designed to keep people with higher incomes from filing for Chapter 7 bankruptcy. A person with a high income who fails the means test may file Chapter 13 bankruptcy to repay a portion of their debts. A Chapter 7 bankruptcy attorney at Pinard Law, LLC can determine whether or not you satisfy the means test. The Chapter 7 bankruptcy means test works by deducting specific monthly expenses from your "current monthly income" (your average income over the six calendar months before you file for bankruptcy) to arrive at your monthly "disposable income." The higher your disposable income, the more likely you won't meet the Chapter 7 means test. Note, however, you do not have to be completely broke in order to file for Chapter 7. A person can have significant monthly income and still qualify for Chapter 7 bankruptcy if you have a lot of expenses, such as a high mortgage payment. Get the financial "fresh start" you deserve. Contact an experienced Chapter 7 bankruptcy attorney at Pinard Law, LLC for a FREE Chapter 7 bankruptcy evaluation. Stop harassing bill collectors, stop wage garnishments, stop lawsuits and stop foreclosures today! Let us relieve your burden and set you on a path to recovery, stability, and peace of mind.